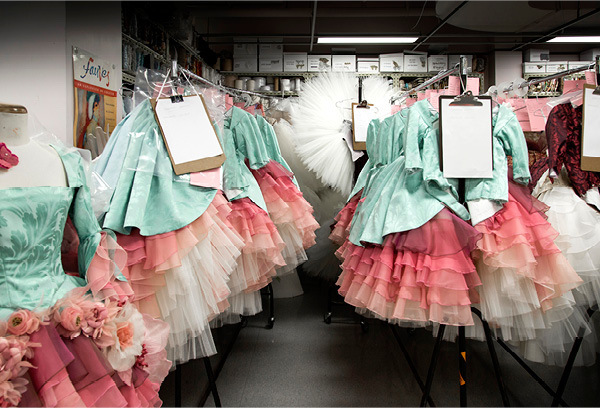 Costume designers can bring us their inspiration, swatches, sketches, and designs to find the perfect flower for their wardrobe design, including for the ballet and theatre. We could also custom make any flower style in the designer’s fabric. Our fabric flowers are excellent for costumes and accessories, whether they are historical and period, Halloween, or cosplay costumes. Our artisans hand make each embellishment to help achieve the appearance of a character or performer. 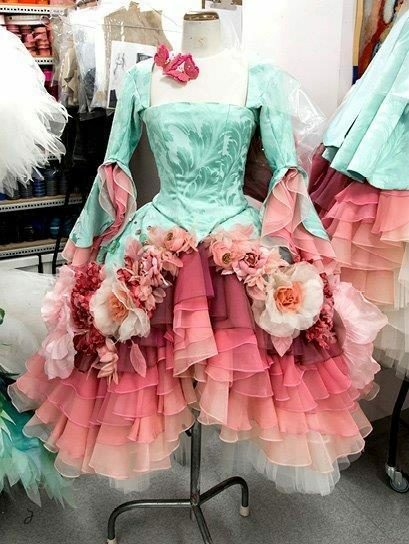 We are able to make one or many floral creations and apply decorative trimming for a costume designer who is designing costumes for a film, stage production, concert, music video, or television. View our gallery for styles that can be custom made or changed in any fabric or color. Pricing depends on material and quantity. Purchase flowers for costume design projects at our showroom, through email or telephone. Email us at info@customfabricflowers.com or call us at 212-244-2090. 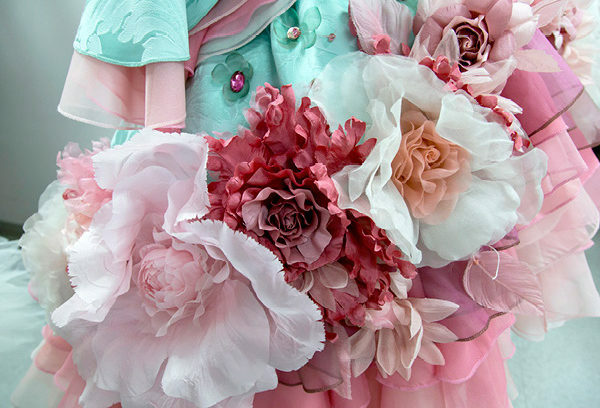 Our silk flowers were once used for the costumes of the Australian Ballet. Contact us to see what is in-stock, or learn about custom orders. We are able to receive orders and ship internationally.